I’ve been a bit out of focus of the TV world for a while, so I didn’t realize that the Emmys released their nominees on Thursday. Anyway, I’ll provide commentary on the main categories (mostly due to lack of time for writing an essay analyzing the awards). An interesting list. Breaking Bad and Mad Men are the best of the pack and Game of Thrones is very strong as well. I’m surprised to see House of Cards here, which probably had to do with star power (with David Fincher attached to the show and Kevin Spacey starring in it). Homeland‘s second season fell off, but it was still enjoyable. I probably would replace Downton Abby with another show there. I’m not very impressed by Jeff Daniels in The Newsroom and would prefer to see someone else here. Still, not bad choices. Not surprised David Fincher is here (as I mentioned before, star power), but his inclusion isn’t undeserved. I’m surprised by the exclusion of anyone from Mad Men. Glad to see Banks here. A good selection. I can’t think of anyone outwardly snubbed. I think this is the Emmy’s weakest category. I feel that Louie, Girls, and Veep are the only deserving nominees. I was one of the few disappointed by 30 Rock‘s final season (or really past few seasons), I don’t find The Big Bang Theory funny at all, and think Modern Family took a huge decline in quality after its first season. Parks and Recreation and Arrested Development were robbed. Nothing to complain about here. I’m glad that the Emmies decided not to nominate Jon Cryer. A good list indeed. I’m hoping Poehler will win. First, I’m glad that this is one of the few categories Modern Family didn’t dominate. But I would take off both episodes of 30 Rock as well as The Office (I enjoyed the finale, but don’t think it’s worthy enough for a nomination), and replace them with episodes from Arrested Development and Parks and Rec. I’m hoping Louis C. K. will win. Remember what I said before about Modern Family dominating practically every comedy. It has a good cast, but does it really deserve three nominations (I think Ty Burrell is more of a leading role). The snub of Nick Offerman is a great offense and I think Will Arnett, David Cross, and Jeffery Tambor deserved nominations as well. I’d like to see Jessica Walters get a nomination, but not a bad list. “Louis C.K. : Oh My God,” Louis C.K. Thanks for the heads up. 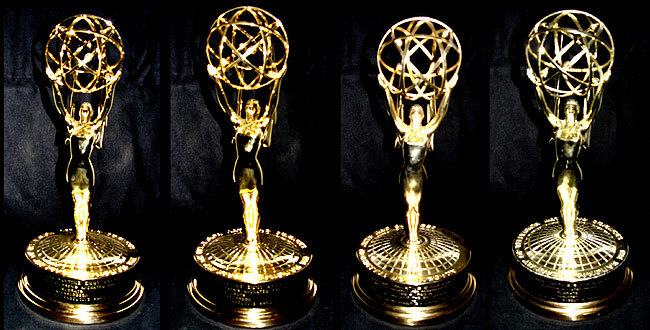 Breaking Bad deserves a good many of these awards. No problem. Breaking Bad is the best show on TV now in my opinion. Probably the least angry the Emmys have made with these nominations (though I imagine I’ll be disappointed when many of the winners are announced). The Americans deserved a bunch more nominations, though. I haven’t seen The Americans, but I thought it would get a few nominations. Thanks for commenting. I haven’t seen House of Cards but it is supposed to be fantastic. Good for Netflix getting into the game! Yeah, looks like Netflix has been really stepping it up. I’ve been watching Orange is the New Black lately and it’s pretty good. How Game of Thrones doesn’t sweep is beyond me. That show is insane. Game of Thrones is a great show, it’s really addictive.